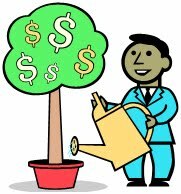 In today’s post I will show you how to analyze a promotion’s financial efficacy. Given my lackadaisical approach to marketing my Seamus McCree series of mystery/suspense/thrillers, you’d be hard-pressed to guess that I earned an A in Marketing during my MBA studies. Knowing what to do and understanding how to evaluate results are different skills than actually doing the darn thing. While I deserve an A for analysis, I’d give myself a gentlemen’s D for my actual marketing efforts. Fortunately, that lack of marketing means I have near perfect data to analyze a recent sales tactic I employed: providing free copies of the Kindle version of book 1 of the series (Ant Farm). I have so far published five books in the Seamus McCree series. All are available in paperback, and I have assumed the Kindle promotion had zero effect on paperback sales. I am currently, and have been for some time, part of the KDP select. That means the only place you can buy an electronic version of the books is on Amazon for a device that reads the Kindle format (reader, computer, phone). All my books are enrolled in Kindle Unlimited (a subscription service that allows readers to read unlimited pages each month for a fixed price and pays the authors an amount per page of their works read). While the calculations below are based on my Amazon-only sales universe, the concepts are equally applicable to authors who have their books available for wide distribution (Nook, Kobo, iBooks, etc.). Step 1: Determine baseline sales. For me, this was relatively easy because I had done no marketing during the two and a half months prior to the sales campaign. Count the number of books sold (or better royalties paid) for the base period for each book in the series and divide by the length of the base period (in my example 2.5 months). If you sell wide, you can add together your sales for each book or perform this step separately by venue. For those of us participating in KDP select, we’ll need to collect the royalties for electronic books sold and the Kindle Unlimited (include KOLL) pages read for each book in our series. Normalize these results by converting everything to a per month basis. I assume Amazon will pay an average of $0.045 per page read. That means I expect to earn $45 for every 10,000 pages read. The reason I estimate revenue per KU page read is I am not willing to wait the extra time for Amazon to let me know exactly what each month’s actual payment rate will be. (It varies each month based on Amazon whim—er secret formula.) If I wanted, I could redo the analysis once the final figures are in. These are your Base Level Results. If you did nothing else, these are the revenues you would expect to generate from your series. If you simply announce the giveaway on your social network feeds and to your newsletter subscribers, you have no cost (unless you have enough newsletter subscribers so you need to pay for that). I chose FreeBooksy (owned by Written Word Media) to advertise my free download opportunity for Ant Farm and paid for a feature that advertised that the giveaway was part of the Seamus McCree series. It cost $142.50. During the five-day promotion, Amazon indicated I had “sold” 5,915 books at the bargain price of $0. The Cost per download is Cost of Promotion)/Number of downloads. For this promotion that was $142.50/5915 = $.024. Wait a minute; it’s cost me $0.024 per download, where’s the revenue come from? The great thing about series is that if people like the first book in the series, even though it was free, some of them will buy the second book in the series. If they like that, some will buy the third book in the series. Etc. The most read book in a series is almost always the first book. Someone who discovers Sue Grafton’s Y is for Yesterday, likes it and wants to read more, is likely to start at the beginning with A is for Alibi. The same for me: they read Empty Promises and like it, they’ll go back to the first book, Ant Farm. By giving away Ant Farm, I hoped to earn revenue from sales (or KU pages read) of other books in the series. Because I haven’t run any other promotions on the Seamus McCree series after the giveaway, I can determine how long the effect of the sale lasted. For Kindle purchases, it was about 2.5 months. Interesting to me, for Kindle Unlimited pages read, I’m experiencing a new, higher, “normal” level after the promotion. Regardless of that continuing bump, I cut off the KU effect at 2.5 months as well for purposes of this analysis. For each book I determined royalties received and Kindle Unlimited pages read during the 2.5 months following the promotion. That’s not all extra revenue, If I hadn’t done anything, I’d expect to continue to earn all the base revenues for each book. To get the excess revenue for each book, I needed to subtract the 2.5 months of the baseline from the actual sales. I know lots of authors go cross-eyed looking at formulae. So, using words: we take the average monthly revenue for a product after sale and subtract the average monthly revenue for the same product before the sale to get the effect of the sale. Then, if the effect lasts longer than a month (in my case it lasted 2.5 months) multiply that result by the duration. Here’s a simple example to see how this works. Say before the sale I earned an average of $10 a month on Book 2. During the 2.5 months after the sale, I earned (say) $60. My extra profit is the $60 less what I would have expected to earn during that period ($10/mo. x 2.5 mos. = $25). The extra revenue is $35 ($60 - $25). Since I have five books in the series and I have both Kindle sales and KU reads, my total profit on the promotion is the sum of the excess profit on Kindle purchases and pages read under Kindle Unlimited for all five books. My expectation was that by giving away Ant Farm, those possibly interested in reading it would download it for free. Kindle Unlimited folks apparently have a different mindset. They don’t need to “own” the book; they’re happy to read it and “return” it to the Amazon library. During the 2.5 months following the giveaway, KU readers read over 50,000 pages of Ant Farm, which is the equivalent of almost 100 books for revenue of $225+. That group alone more than paid for the advertising expense of $142.50. Adding the extra revenue earned because of advertising and giving away free Kindle copies of Ant Farm from both Kindle sales and Kindle Unlimited reads totaled $1,023.60. Dividing that by the number of downloads gives average revenue per download. Recall that each download cost $0.024. The profit per download was $0.149. Yippee! If we assume future readers will act in the same manner as those who participated in the analyzed sale, my break-even point is 17.3 cents per download. A quick analysis of whether a promotional website delivers value to me suggests that if the cost per download is greater than 17.3 cents, I should avoid it. How can you tell in advance? You can’t, but if something doesn’t work for you, don’t repeat it in the hopes the second or third time is the charm. Also, you can search for results other authors have shared in blogs like this one. Question: Can we learn more from the data? Of course. I wouldn’t have posed the question otherwise. It was an unexpected bonus to discover many Kindle Unlimited readers preferred to read Ant Farm through KU rather than downloading for free. Those pages read paid for the advertisement (and more). My original expectation of where I would make money from this promotion was that enough people would like Ant Farm well enough that after reading it they would buy the next in the series, Bad Policy. That follow-through from one book in the series to another is called “Conversion” in the trade. Good conversion, I thought, was the key to making money from giving away the first book of a series. I figured I had a good chance of converting people from Ant Farm to Bad Policy. Ant Farm has a 4.6 rating on Amazon (50+ reviews) and 4.35 rating on Goodreads (100+ ratings). Before I saw the results of the giveaway, I only considered one kind of conversion: from giveaway to sales of books 2, 3, 4 & 5. I discovered (others already knew this, but I hadn’t thought of it) that Kindle Unlimited readers have a separate conversion from book 1 to 2 to 3, etc. Conventional wisdom suggests that those who download free books do not buy books at market prices (in my case $3.99). In fact, some readers use free books as a no-risk way of checking out new-to-them authors. If they like what they read, they’ll buy more. During the 2.5 months following the free-giveaway, only .59% purchased Bad Policy. That seems dismal; but in fact, taking those people and following them through the extra sales of the other three series books was sufficient to make the advertising buy profitable. There is a HUGE drop-off between those who acquired Ant Farm for free and those willing to spend money to purchase Bad Policy. Of those who went on to buy Bad Policy, 60% purchased Cabin Fever and if they bought Cabin Fever they surely became fans: 81% bought Doubtful Relations and of those 88% bought Empty Promises. As I thought, if I could get people to buy a book of the series, a significant percentage would really enjoy the book and buy more. They key is how many people actually read free downloads. That, I have no way of determining, but enough did that their subsequent purchases more than covered the advertising costs of the giveaway. Even though the only place to purchase electronic copies of my novels is on Amazon, the giveaway was profitable. Those who could also give away and sell in other markets would be even better off for ebook sales alone. I speculate that the result of more than 100% for conversion from Ant Farm to Bad Policy reflects a group of people who did download a free copy of Ant Farm and then used Kindle Unlimited to read Bad Policy. The other percentages are consistent, except the conversion from Doubtful Relations to Empty Promises is lower for KU readers. My guess is that this reflects non-binge readers. Some will pick up Empty Promises in the coming months. In fact, while Kindle sales have stabilized at pre-giveaway levels. Kindle Unlimited pages read are still more than twice pre-giveaway levels. Kindle Unlimited readers changed what would have been a modestly profitable advertising buy and book giveaway into a (relatively) huge success. Although Bad Policy is the second in the series, it was the first published. In my opinion it is the weakest writing of any of my books. Ant Farm, the intended first book, was not bought by a publisher until I completely rewrote it after publishing Cabin Fever. The 60% conversion from Bad Policy to Cabin Fever might be because of this weakness. It also might be that the back-matter material in Bad Policy is not optimal for eliciting readers to immediately purchase Cabin Fever. I’ve recently changed it, and time will tell whether that will bump up the conversion to Cabin Fever. Anything I can do (other than rewriting the book) is worth money because the conversion rates after Cabin Fever are stellar. As expected, I earned the most money on sales and pages read of Bad Policy. What surprised me completely was that Ant Farm provided the second largest profit, both from Kindle books sold and Kindle Unlimited pages read. This, I think, shows the power of Amazon lists and “also reads.” People who did not know of the initial giveaway discovered the book through the power of Amazon’s platform. This had everything to do with placing high on Amazon’s best seller lists. During the giveaway, Ant Farm reached #22 in the overall Kindle Store for free books, and #1 for free books for both Private investigators and Suspense within the Mystery, Thriller & Suspense category. The overwhelming effect of Kindle Unlimited for me is the reason why I remain in the KDP select program and have not gone wide. Most people who have their ebooks available on multiple platforms say they receive anywhere from a rare low of 60% to a more typical 75-85% of their sales from Kindle sales on Amazon. By comparison, in this sale, I received only 49% of the additional revenue from Kindle sales. The remaining 51% came from compensation based on Kindle Unlimited pages read. You have a different series, different target audience, Mercury may be in retrograde, a tweet could cause everyone to forget to look at books for several days. You may be selling wide, whereas I am concentrated in the Amazon universe. You may have great international sales (mine are miniscule). The point is, to figure out if your promotions work, you must do this kind of analysis. Now you know how. Questions?